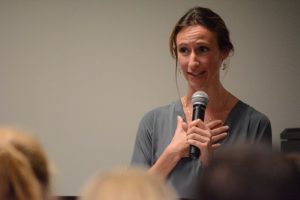 Suzie Bartel, founder and director of the Ryan Bartel Foundation, said after her son’s suicide, she spoke to a great number of his friends. Teenagers, of course, know this. Katie Lynham, a Woodgrove High School senior, said she’d been in that very situation when her boyfriend texted her late at night saying he wanted to kill himself, and that if she told anyone he would never speak to her again. Lynham ultimately decided to go to the school counselor anyway. “He wasn’t talking to me for maybe a week, and he finally decided that I was right,” Lynahm said. Bartel talked about how the foundation partnered with students at Woodgrove High School for the We’re All Human project, letting the networks of support and friendship among teenagers help. 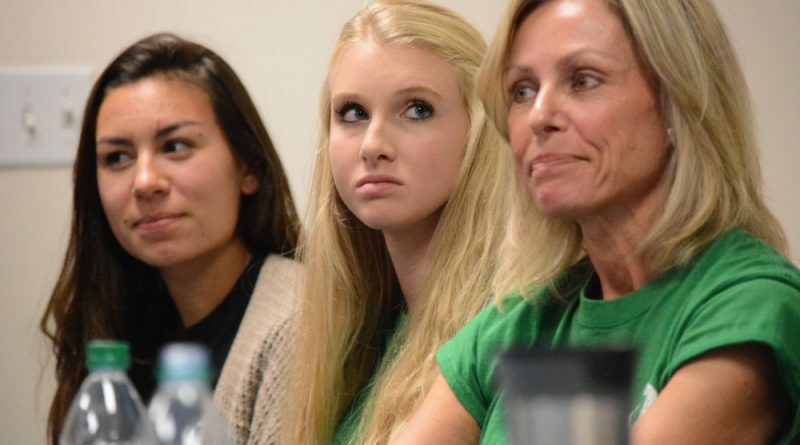 “What was incredible for us was to pretty much just sit back and allow them to take the reins in terms of figuring out what it is that we need to do to change the dialogue around suicide,” Bartel said. Katie Brantingham is one of those teens. She said her life was changed by a walk in April organized by We’re All Human. Brantingham said “hope” is one of her favorite words now, and that she’s seen a change in the whole student body since the walk. “We feel like we’re more connected, and it’s easier to talk about it, even though it’s such a touchy subject,” she said. The forum was moderated by Neil McNerney, Randall’s appointee to the Community Services Board and an adolescent and family counselor. The panel also included representatives from a wide range of the community and government organizations and resources looking for ways to help. 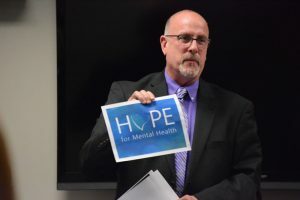 Among them were Michelle Petruzzello, division director for the Loudoun County Department of Mental Health, Substance Abuse and Developmental Services; Doug Wall, worship pastor at Leesburg Community Church; John Lody, director of Diagnostic and Prevention Services at Loudoun County Public Schools; and Gina Harrison, clinical director at Inova Loudoun Hospital Children’s Emergency Department. Will Robinson’s mother, Ann-Charlotte Robinson, also attended.